You will often feel the pain at the base of your heel when you step out of bed in the morning. This injury can be very pesky; it can prevent you from running for weeks, sometimes months. 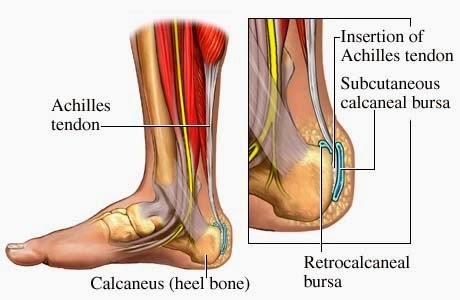 The Achilles tendon stems from the muscles in your calf and attaches to your calcaneus bone, or the heel of your foot. Achilles tendonitis is characterized by pain when the foot is plantar flexed, such as when you’re walking on your toes, and is a condition that develops as a result of repeated microtrauma. scarring, or the presence of adhesions in the tendon. It contributes to discomfort while running or playing other sports. Rest and ice are important in healing this injury, as well as professional assessment and treatment. • Buy quarter-inch heel lifts or Dr. Scholl’s gel heel cushions for your shoes. They are available at our clinic. • Wear a heated ankle wrap throughout the day to improve circulation. • Massage your Achilles tendon with ice to prevent poor-quality blood vessels from forming. • Do the push-against-the-wall stretch regularly, with your rear knee straight, then slightly bent. 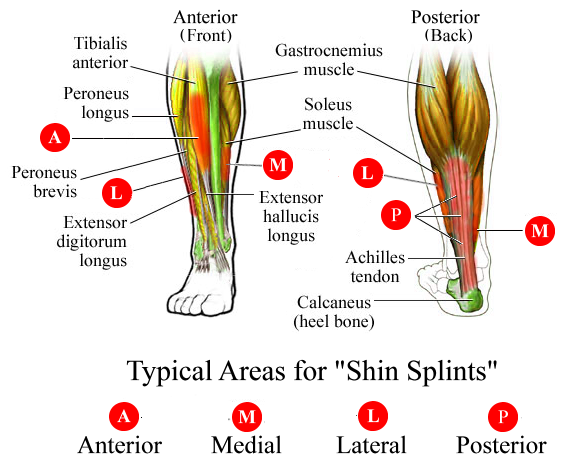 More of a catch-all term than an actual medical condition, “shin splints” refer to any tightening of the muscles, tendons, and even the covering of the bones in your shins. They are especially common among beginning runners, those using old running shoes, those with a rigid or high-arched foot, those who land on the foot incorrectly, and those who dramatically increase their mileage. Please have them checked as they can lead to stress fractures. Do not run if you have shin pain! Some self-massage tips: Sit in a chair. Place one thumb in the groove between your shin bone and shin muscle (the one on the outside) of the leg that hurts. Place your other thumb on top for support. Rub down the leg. Then move your thumb about an inch to the outside and rub down your leg again. Move an inch to the outside again, and so on. Do this as often as possible, lightly at first and more deeply as the injury begins to heal. 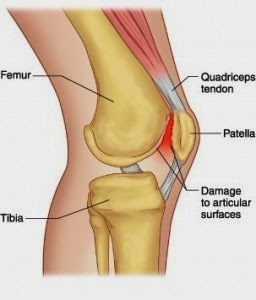 You know you have runner’s knee (also called Patello-femoral or chondromalacia patellae) when you feel pain beneath your kneecap while running. It is caused by the kneecap not tracking properly and rubbing against the femur (thigh bone), and can be aggravated by walking down stairs or sitting with the knee bent for a long period of time. One reason for this misalignment is poor biomechanics of the foot, ankle, hip, and knee that leads to excessive wear and tear on the patella. A compression injury may also lead to pain and discomfort in this area. Iliotibial Band Syndrome (IBS) is one of the leading causes of lateral (outside) knee pain in runners. The iliotibial band is a superficial thickening of tissue on the outside of the thigh, extending from the outside of the pelvis, over the hip and knee, and inserting just below the knee. The band is crucial to stabilizing the knee during running, moving from behind the femur (the thigh) to the front of it during the gait cycle. The continual rubbing of the band over the bone, combined with the repeated flexion and extension of the knee during running, may cause the area to become inflamed or the band itself may become irritated. Symptoms – The symptoms range from a stinging sensation just above the knee joint on the outside of the knee, hip, or along the entire length of the iliotibial band, to swelling of the tissue at the point where the band moves over the femur. The pain may not occur immediately, but will worsen during activity when the foot strikes the ground if you over-stride or run downhill, and may persist afterward. 1. Running on a banked surface, such as the shoulder of a road or an indoor track. 2. Inadequate warm up or cool down. 3. 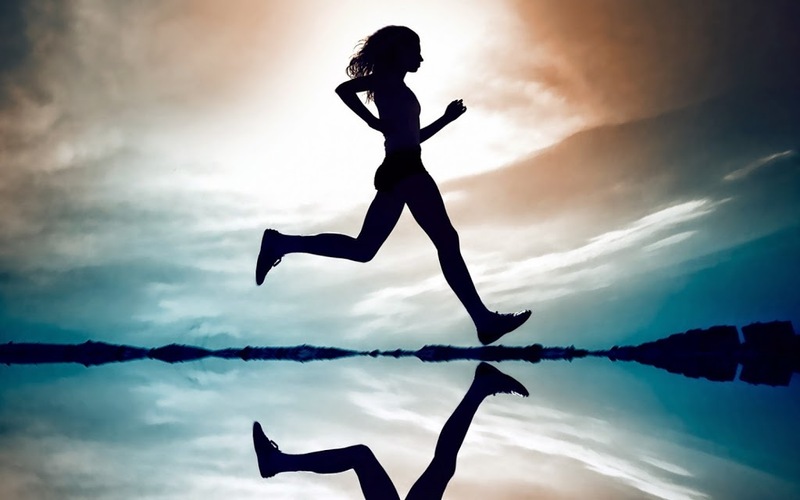 Running excessive distances or increasing mileage too quickly. 4. Anatomical abnormalities, such as genu varum (bow legs), leg length discrepancy, or postural imbalances. Your hamstring muscles are actually a combination of three separate muscles located on the back of your leg, running from your lower pelvis to your knee. They help mainly to flex the knee and extend the hip. If you suffer from hamstring pain, you may have a degenerative disc disease or an abnormal pelvic tilt, problems stemming from your back. Running produces an added amount of pressure to the spine and the intervertebral discs that supply cushioning and lubrication to these joints. If your spine is in any amount of misalignment, certain risks apply not only to the spine itself, but also to the surrounding muscles and tissues. As you run, you could be providing the motion that initiates or further aggravates your discomfort. Proper running posture is key in reducing these factors and allowing your body to work most efficiently, and at its optimal performance. If any one of these areas becomes misaligned, chances are that if left unchecked, it could precipitate problems in other areas.